As the years passed, and logic and reasoning formed in my brain (thankfully) some of the obsession died down. (I have seen every American tour since 1984.) I still enjoy their music, but mostly the stuff with David Lee Roth singing lead. Sorry, Sammy Hagar. He seems like a cool person to hang out with. I prefer the harder sound with Dave. Growing up music made me believe anything was possible. Music sat right beside me while I wrote my first novel at twelve, and every novel since. (I have play lists for all my women’s fiction books.) Music soothed my heart the first time someone broke it. No one understands the broken heart better than a musician. Except maybe a romance novelist. Music makes me dance any place any time. Music transports me. Every time I hear AC/DC’s Hells Bells I’m at the start of a high school football game. High school was a long time ago. I don’t play any instruments, but 2018 is the year I change that. I can’t sing, but I dream of being on stage in front of thousands singing my heart out. (Possibly in leather pants. And I’d love to do a duet with Jennifer Nettles. I love the quality of her voice.) If I had to go back and do it all again, I’d study how to play music. I love writing, and I wouldn’t change being an author for anything. (Though I’d like to make more than a cup of coffee for doing it.) But I also love the sound of an orchestra. And much to my son’s dismay, I love soundtrack music. The music in a soundtrack evokes emotion often times because the dialogue and the actor’s facial expressions can’t. Being in an orchestra is my kind of team sport. An artist puts his or her mark on the world. The way rockers played guitar changed because Eddie Van Halen hit the scene. He revolutionized the way guitars were made too. I often hope with my books that I can leave my mark. I had a beta reader say to me recently, “I’m sobbing.” My words moved her. What an honor and a thrill to be able to touch someone deeply. Now I have to find more readers like her otherwise my mark is just one. That’s no easy job. What passion burns inside you to come out? Who influenced you the most? A Second Chance House is available for pre-order in digital format. The print version will become available March 7th from all major online retailers, and here on the website. I’m hosting a Facebook party on March 7th from 7 – 9 pm in honor of the release. There will be games and prizes. Click on the image to start reading Welcome To Kata-Tartaroo now! 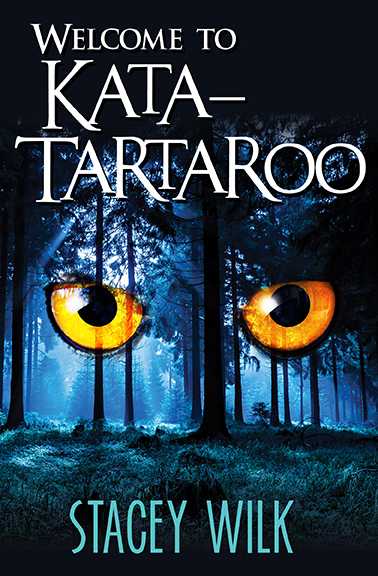 Welcome To Kata-Tartaroo won a 5 star review from Readers' Favorite! Click on the seal to read the review! Book One in the Gabriel Hunter Series.